Replacement rear lamp bracket for Brompton bikes with rear racks. I want to use angle brackets (like these Brompton ones) to attach to my cycle rack and then to attach a Cateye bracket. So I need bolts for the brackets to attach to the rack. Are the bolts supplied (they are not in the picture)? 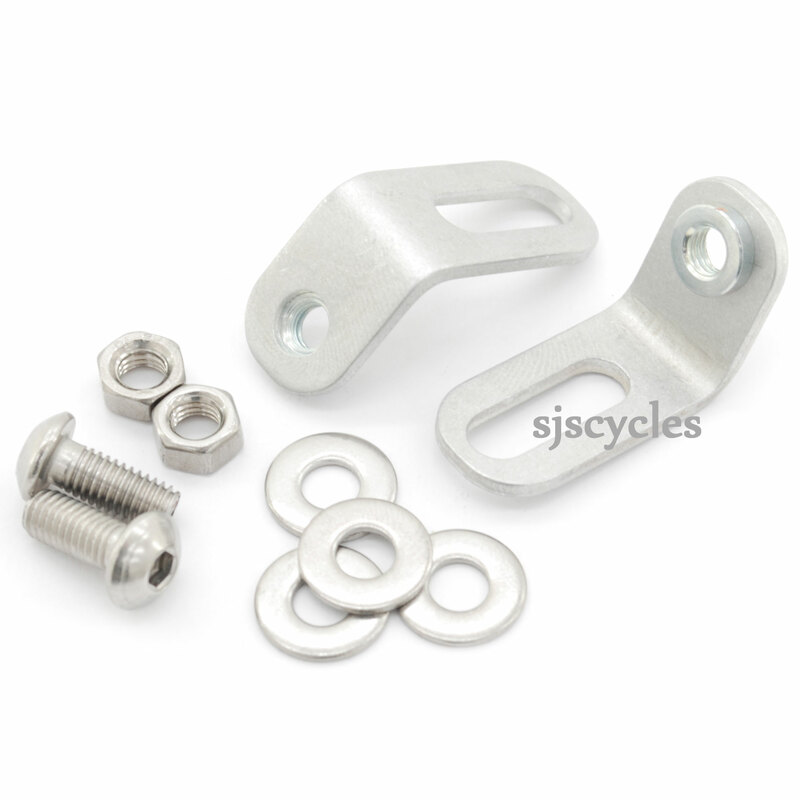 Or could you also suppy 2 short bolts that fit the nuts/ washers? The bolts are indeed included with these brackets. So the full package contains; two brackets, two nuts, two bolts and four washers.